‘This Is How We Run’ blogging duo are all signed up to pace runners in MK this Bank Holiday. A mother and daughter running duo that have completed more than 140 marathons together will be pace runners at the Rightmove MK Marathon on 6 May. Now in its eighth year and consistently ranked in the top 10 UK marathons, the MK Marathon weekend attracts athletes from across the world. 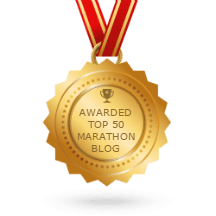 Jacquie Millett and Camilla Langlands – AKA This Is How We Run – regularly run marathons in the UK and around the world, blogging about their experiences and sharing tips and helpful content to support fellow runners. In 2018, they completed their 100th marathon together, setting a world record for the most marathons run together by a parent-child duo. But they don’t just stick to marathons – they also regularly clock up the miles at parkruns and ultramarathons. Mum Jacquie began running when she was 57 years old, with Camilla joining her a few years later. The pair don’t always run next to each other, but stay close by to share the experience, and both say running has changed their lives. Over the Bank Holiday weekend on Sunday 5 and Monday 6 May 2019, 10,000 people are expected to run in five races, making this the biggest and best MK Marathon Weekend to date. As well as the Rightmove MK Marathon, there’s the Rightmove MK Half Marathon, BMI The Saxon Clinic MK Marathon Relay, Rightmove MK Rocket 5k and Brioche Superhero Fun Run. Runners will get to enjoy scenic routes taking you past MK’s tree-lined boulevards, lakes, parks and woodland, plus an incredible Stadium MK finish and a post-race family festival with food, music and drink! Starting and finishing at the home of Milton Keynes Don’s football club, the Stadium MK, the Rightmove MK Marathon offers a spectacular start and finish, and now includes the Rightmove Race Village. Situated outside Gate 5 of Stadium MK, there will be a full line up of exciting live acts on stage, and many different activities for all the family to participate in. Visit www.mkmarathon.com for further details.